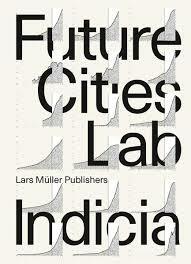 I have worked with Mallika Naguran in a couple of book projects related to urban planning and sustainability from 2013-2017, with FCL’s ‘Future Cities: Indicia 1’ book as the latest project. Looking for an editor who has an in-depth understanding of the subject matter and able to give relevant reviews and critic is never easy. Mallika does not only give suggestions on grammar and language issues but also able to give feedback on the line of the arguments and the structure of the thinking. Mallika has shown great professionalism and commitment to any given projects. She is able to tailor her editing services from popular journalism to highly academic publication. Mallika Naguran from Gaia Consult Global has worked with the ETH Singapore SEC Ltd from April until December 2017 under the Cooling Singapore and the Cooler Calmer Singapore Impact research project on multiple successful tasks. Going beyond proofreading, Mallika offers subject matter input on editorial and structural aspects of our publications, ensuring that they meet our standards. Her commitment to completing her tasks and impeccable work ethic was reflected through the constant service and flexibility to meet our needs. She has worked well with our authors as well as our designer to coordinate and facilitate the process of publication. We highly recommend Mallika Naguran for any editorial work or similar endeavors.